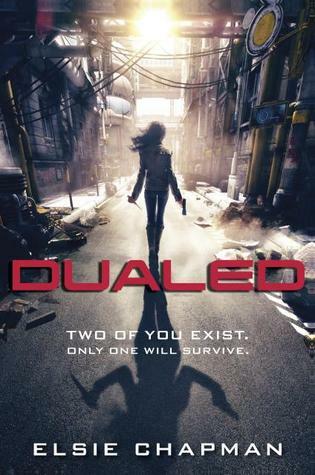 The story is set in a land called Kresh, where everyone is born with a twin that they must meet and within thirty one days battle to decide who is worthy of living and becoming complete.Out of all of her family members, Fifteen-year-old West Grayer only has Luc, her older brother, left. Both her younger brother and oldest brother were killed by their Alts, their genetic twins. Luc’s friend Chord is given responsibility of West if he does not succeed in completing his assignment. Later, when West loses Luc she receives her Alt. Chord tries to help her as much as possible, but West will not let him, because she fears that he will get stuck in cross-fire and become, injured or worse: die. West is given private lessons by Bear, a legend in the art of combat. He knew her older brothers and thought of them as prodigies, so he I wanted to find out if she could fight as well. After training for a couple of weeks, she became very skilled and experienced, this lead her to the path of becoming a Striker, someone who is sent messages to kill other people’s Alts for money. However, Strikers are looked down upon, because it is considered cheating. Now with only eight days left to either kill or be killed, she sees her Alt, walking around with a rock-hard face and cold eyes, and for the first time she begins to really doubt herself. Why do Luc and West keep going to Balthazar’s? 1a. It was Aves favorite place to eat. What is FDFO and where do they learn it? 2a. As kids they were taught if they were ever caught near cross fire: Fall Down and Fade Out. What is an Alt ? how many brothers did west have how many are there now? 4a. She had 3 but all of them died to their Alts. Who is Bear, what is he known for? 5a. Bear is the combat instructor, he is known because he was able to kill his Alt with his bare hands ant the age of 10. Vivid: Strong or powerful feelings. What is Wests new job? How many days do people get to complete their assignment? What dose Chord give West? 8a. A bunch of bills, a cell, and a key code disrupter. Why did West run away from Chord? 9a. she was worried he would get stuck in cross fire and die. How many days were left when Chord saw West strike for the first time? 10a. There was 10 days left. Dully: Lack of responsiveness or alertness. Scuttle: Run with quick, hasty steps. Thrum: A continuous rhythmic humming sound. Bypassing: Avoid, go past, or around. Modulated: Exert a modifying or controlling influence. Why dose West scare the boy she found in the house? When and where is the first time West sees her alt? 12a. West just finished a strike in a library and sees her. What did West do when her alt approached her? 13a. She ran and hid, then she changed her hair color to blond. When there are only 7 days left where dose West stay? What info did the attendant give West? 15a. She said her Alt was just around that area a few hours ago. Adrenaline: A substance that is released in the body that causes the heart to beat faster and gives the person more energy. Sympathetic: Feeling sorry for someone or something.